UGC NET Dec 2018 Login is available for the candidates who have successfully applied for the December 2018 exam. UGC NET Login is present online on the official website i.e. on ntanet.nic.in. 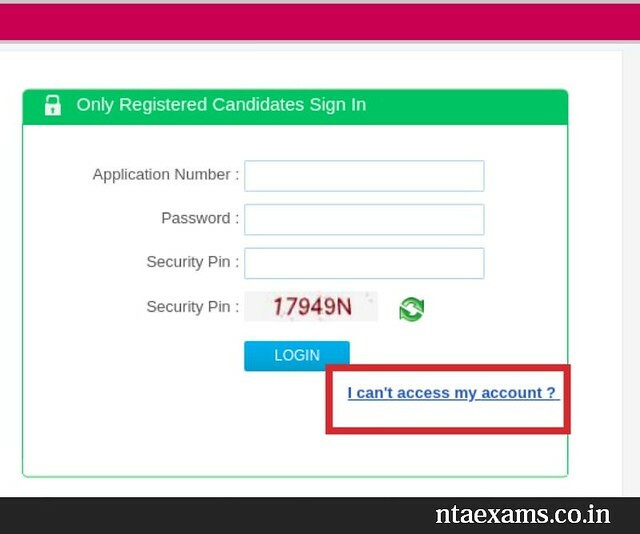 UGC NET Dec 2018 Aspirants can do the login by submitting the credentials such as application number, password, security pin (convertible). With the help of the candidate login page, the candidates can check result from January 05, 2019. Apart from the result, the candidates can also check the subject wise cut off, download the admit card and check the answer key. Thus, it is very important for the aspirants to keep the credentials safe for using the login window for the various activities. Candidates can get the detailed information about UGC NET Dec 2018 Login by checking the entire page. Remember, the candidates who have done the registration can only use the Candidates sign in. The last date to fill the UGC NET Dec 2018 Application Form was October 01, 2018. Now, the candidates who had appeared in exam are able to view their result. For the better understanding, you are advised to take a look at the table given below which contains all the important dates related to UGC NET Dec 2018. Candidate visit the following link to login to their UGC NET 2018 account to check application details, submit application form correction and check application status. Login for Already Registered Candidates: Click Here to go to the UGC NET Dec 2018 Candidate Login page. Result Login for Exam Appeared Candidates: Click Here to go to the UGC NET Dec 2018 Result Login page. Different login was issued to download UGC NET 2018 admit card before the examination; view answer key and check result after the examination. How to Access the UGC NET Dec 2018 Login? Step-1: First of all, you will have to navigate the official website. To do so, you can use the link that we have provided on this page above. Step-2: After that, you will reach the page where you will get two options. First is “New Candidates registration” (Available till October 01, 2018) and the second option is “Only Registered Candidates Sign In”. Step-4: In this way, you can see your account page. As you can see that these are the jobs that a UGC NET candidate can do with the help of the Login Window. So, it is necessary for the candidates to keep their application number and password safe. It will be needed at the time of login. If you want your data to be confidential then keep your credentials. I Can’t Access My Account: What to Do? Using Security Question & its Answer you chose during Form filling. In this way, you will be able to recover your account. This year NTA will conduct the UGC NET 2018 examination online in December 2018. The students who are looking forward to a career in teaching (AP posts and JRF Posts) can have a look at the ugc net syllabus which they have to prepare for the exam. Syllabus for each subject is given in separate file. I already paid exam fees but still showing fees not paid I am unable to fill form again plzz reply me what should I do. I can’t find any password in my mails, all I have is a confirmation mail without any password. I am trying to reset it but I am not getting any mail or sms. Help please. Sir, I have lost my application number and password so inform me how I will download my admit card. sir i can’t able to access my account. the option of forgot application no. is not coming. do help me out. Request to kindly change my exam centre to imphal. Hello there, I happen to forget my login password for UGC NET Dec 2018 and the site is not showing that “i can’t access my account? ” link. What should i do?